Colonial bentgrass is a cool-season grass that thrives in cool coastal weather. It is adapted to coastal regions in northern California where it is used for general lawn areas. It does best in cool, humid weather and can tolerate some shade. Moderate to high maintenance. It has a low tolerance for heat, salinity, water stress and traffic. It requires frequent irrigation, aerating and dethatching, and a relatively high level of fertilizer. Colonial bentgrass is slow to recover from moderate wear. 'Highland' is a cultivar of colonial bentgrass that tends to have a slightly higher tolerance for heat and drought. May lack uniformity due to heterogeneity of types. Colonial bentgrass is a perennial plant which means it lives or continues more than 2 years, whether it retains its leaves in winter or not. Currently colonial bentgrass can be found in"
Overall, Colonial Bentgrass is an aggressive cool-season grass. Much like Creeping and Velvet Bentgrass, Colonial Bentgrass is mainly found on high maintenance golf course greens, tees, fairways, croquet courts, tennis courts and lawn bowling greens. Color ranges from greenish yellow to medium dark green. 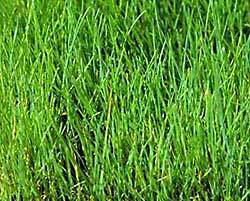 This perennial turf grass is a native to Europe and is utilized all over the Pacific Northwest and Northeast. Its spreading tolerance is minimal compared to Creeping Bentgrass and does not require a close mowing. Colonial Bentgrass does require a well prepared seed bed when planting, frequent irrigation and a high level of fertilizer. Colonial bentgrass doesn’t blend well with other grasses and is slow to establish. Colonial bentgrass can be kept a little bit taller than Creeping Bentgrass and would be a better choice for a lawn for those seeking a golf-course type lawn, plus the higher maintenance required for bentgrass type grasses.